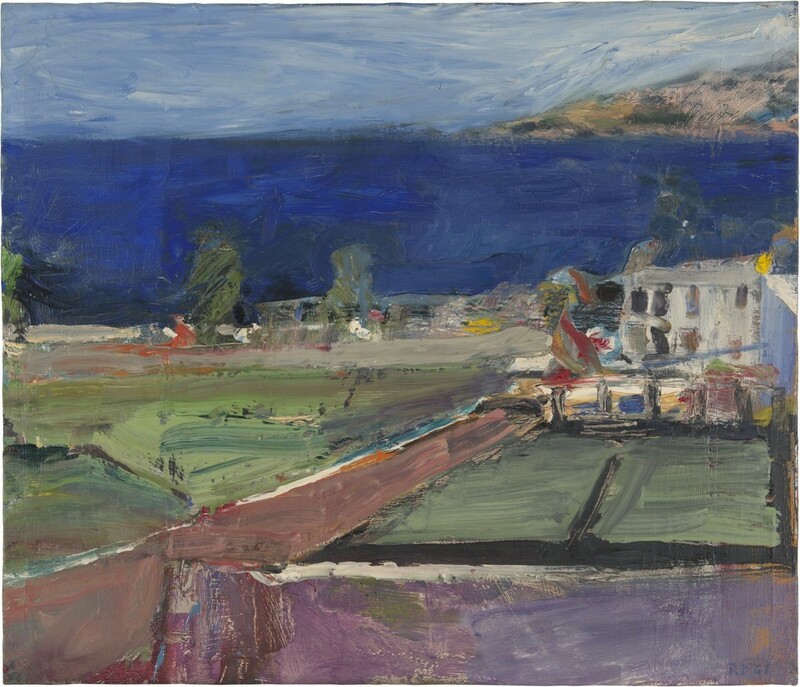 Richard Diebenkorn (American, Bay Area Figurative Movement, 1922–1993): Prisoners’ Harbor, Santa Cruz Island, 1961. Richard Diebenkorn (American, Bay Area Figurative Movement, 1922–1993): Prisoners’ Harbor, Santa Cruz Island, 1961. Oil on canvas, 54.6 × 63.5 cm (21-1/2 x 25 inches). Santa Cruz Island Foundation, Ventura, California, USA. © Richard Diebenkorn Foundation. © This artwork may be protected by copyright. It is posted on the site in accordance with fair use principles.